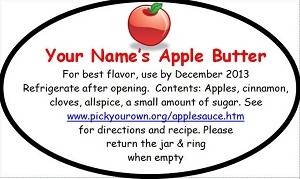 Free Oval Labels for Your Jars, That You can Customize or Print As-is! 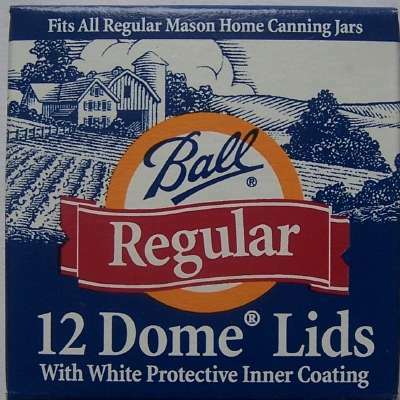 Oval labels: are 2 inches high by 3-1/3 inches wide. There are 8 labels per sheet (2 across, 4 down). 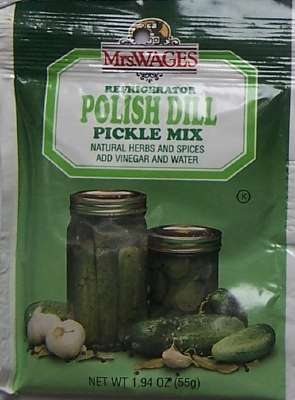 These are great for any jar 8 ounces and bigger. They use Avery 22820 (Print-to-the-Edge Oval Labels) which works with either laser or injet printers. Where to buy the label stock - These are very common label sizes, commonly used as address labels. 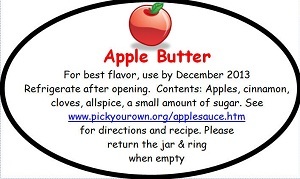 You don't need to use Avery brand; as long as the labels are the same size and layout as defined above, they will work. You can find them at Office Depot, Office Max, Staples, Sam's Club, Costco and many other stores. You can also order them right here (see the boxes at right) at competitive prices, and sales help keep this website going, just click on the links below for details, with no obligation to buy! Press down and smooth out. If you find the labels curl up later, swipe them with a glue stick!